Discuss about the Synthesis and the Research Gap. Leadership is an important factor in any organization operating in the twenty-first century. The reason for this is that leadership roles have continually expanded. In the past, when capitalism was the rule of the day, leaders only had to issue orders to the workers. Over the years, scholars discovered that leadership plays a very integral part in the overall functioning of the organization. Understand how leadership affects the organizational setup for proper integration is significant. Leadership affects the overall performance of the organization by affecting different performance aspects of the organization. The essence of this paper is to analyze various scholarly articles in a bid to prove the validity of this thesis. Thus, proving that leadership affects the performance of a company will encourage organizations to shift their resources towards empowering leadership. There is a research gap in terms of research of the relationship between leadership and organizational performance. Here, organizational performance can be broken into various aspects that this literature review will analyze. Yusuf et al. believe that leadership is an intangible asset that an organization can possess which can be counted as a strength that can enhance organizational performance. It is a source of strength because effective leadership will align the goals and objectives of the organization with those of the individual workers. That is, an effective leader communicates his or her mission and goals to his followers and sells them the idea. A leader will ensure that the followers buy into the idea. Once that is so, the employees will be motivated to participate in realizing those goals. That forms the link between organizational leadership and performance. If leadership is not effective in an organization, it implies that the employees’ goals are misaligned with those of the organization. That could result in wastage of resources since the employees will prioritize their objectives over those of the organizations. Avolio and Gardner (Gardner) provide an emphasis on the concept of developing authentic leadership in an organization as well as its impact on organizational performance. From that angle, it is easier to discover a research gap where this research fails to assert the pieces of evidence that prove that authentic leaders possess the ability to enhance their performance as well as the performance of his or her followers. The advantage of this is that it will sustain the performance of the organization better than in a case where the leader only focuses on developing his or herself. According to Boonyachai (2011), effective leaders focus on developing their followers instead of developing themselves which brings in the idea of servant leadership. Servant leadership is a concept where the leader leads by example. Servant leadership can result in motivation in an organization since there is effective communication between the leaders in the organization and their employees. Supervisors in an organization are part of the management and are the leaders who bear the first-line responsibility of controlling the employees. The use of servant leadership where these low-level managers lead their employees by showing them what they are to do in the organization can be useful in strengthening employee performance. Whichever leadership style that a manager chooses to use should be effective in that it seeks to develop the employees further. That increases the trust and loyalty of the employees in their leader. The relationship between the leadership element in the organization, organization culture, and job satisfaction is an element that Tsai et al. look at in their article. Organizational culture entails the beliefs and values that exist within the workplace. The leadership style that an organization chooses to use will shape these beliefs and values in the organization. Also, the organizational culture can also shape the leadership style of an organization. Tsai et al. (2015) fail to look at the manner in which the different types of leadership relate to the different types of organizational cultures. The dissertation endeavors to fill this niche by analyzing the way behavioral changes that leaders should make to be able to generate respect and support of their team members. By knowing the way the different leadership styles affect organizational culture, the leaders become aware of their expectations if he or she intends to gain their support and trust. Workplace conflicts are one of the primary causes of wastage of organizational resources in terms of time and money used to solve them. For instance, in the case of a conflict in an organization, it can be solved using arbitration. Hiring costs of an arbitrator are very high which result in increased operational costs of the organization. The study that Doucet et al. (2016) conducted intended to discover the effect that leadership had on workplace conflicts. The study can be generalized to organizations of different industries. The article fails, however, t consider the relationship between the different leadership styles and workplace conflicts in environments that offer both high and low compliance. The reason why this is a research gap is the fact that understanding this relationship is that it provides a keener understanding of the roles that leaders play in different work environments with respect to inspiring organizational change. Change management is a managerial function that Alkahtani et al. (2011) introduce. In the article, these scholars discuss the way leadership as a function of personality when it comes to inspiring change management in the organization. Change management is an essential part of an organization, especially where change and innovation is anticipated. Therefore, when installing new systems, there should be change management policies and systems which will anticipate and prevent negative factors such as change resistance. The question that this article fails to address is that: which factors can drive leaders and managers to adopt a certain leadership style. One such factor is change management where a leader needs a certain quality to manage the way change is adopted in an organization. Woszxzyna (2015) conducted research about how leadership acting and organizational culture can be a normative influence to the behavior of employees in the organization when it comes to process innovation. The research endeavors to answer the question of how top management can influence employee behavior in a bid to promote innovation and creativity. The study’s main focus is on the relationship between the leadership style embraced in an organization and employee behavior. Where the study falls short is where it fails to emphasize the identification and analysis of different measures that the leaders in an organization can motivate their workers to be more creative in the way they approach problems. The dissertation intends to fill this research by looking at the way the leadership styles can be used as incentives in the organization. By looking at this factor, it is possible to relate the motivation factor with the innovation factor. Strang and Kuhnert (2009) discuss the relationship between entrepreneur skill, personality trait, professional and leadership motivation. Entrepreneur skill and personality traits are characteristics that any leader should have. An effective leader in any organization is one who is capable of playing the entrepreneurial role in the organization. Entrepreneurship will yield innovation within the organization which ultimately results in higher productivity. Thus, the personality of a leader as well as the development level are elements that can be used in the measure of the performance of leaders. The research gap presented here regards the fact that the study is limited to only two factors as the measure of the performance of leaders. The gap here is the fact that there are many other factors that can be considered in this measure which include employee feedback, the level of job satisfaction and motivation within the organization. As Chan et al. (2015) posit, the personality of a leader can be linked to both leadership and entrepreneurship. According to the research, leadership skill bears a direct link to behavior and performance which implies that leadership development skills can directly impact the performance of an organization. The research, however, does not emphasize the exploration of the differential effects that the facet levels of personality can have which results in a research gap. This dissertation promises to research on these aspects thereby broadening the scope of this study. Regarding team performance, Wang et al. (2014) believe that authentic leadership can directly impact it by investing in psychological capital and relation. Leaders who practice this type of leadership tend to be transparent in taking feedback, information sharing and also regarding their personal motives and values. That creates a good relation between the leader and his or her followers. The research gap available here concerns the fact that this research completely leaves out the impact of other leadership traits that could have the same effect on team performance. The dissertation study covers this aspect by incorporating the way different leadership styles impact an organization’s performance. Organizational performance and its link to the leadership of the organization is an area that has limited literature which explains the presence of the research gaps that the different articles have presented. The common finding in all the articles is the fact that the leadership of the organization links to the various aspects that affect the performance of the organization. Some of these aspects include workplace conflicts, change management, innovation, organizational culture and leadership concepts (style). The different articles review the way these aspects affect the leadership of the organization which in turn affect the performance of the organization. The summative research gap presented here is the fact that the available research fail to analyze the way all these factors interact within a single business environment to produce the ultimate results of performance. That will provide information that organizational leaders can use as a basis for making sound decisions. Alkahtani, D., Abu-Jarad, D., Sulaiman, P. and Nikbin, D. (2011). The Impact Of Personality And Leadership Styles On Leading Change Capability Of Malaysian Managers. 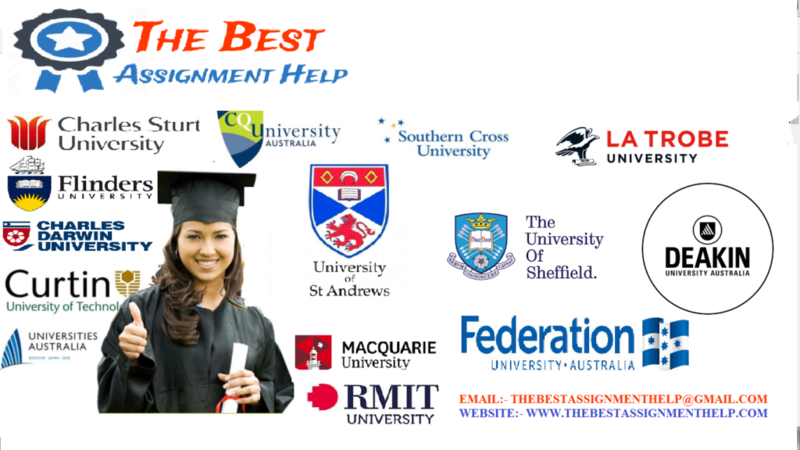 [online] Australian Journal of Business and Management Research. Boonyachai, Y. (2011). An investigation of the leadership styles of middle managers in the Thai hotel industry using the MLQ (5X-Short Form) and Hofstede’s Cultural Dimensions. Southern Cross University. [online]. Chan, K.Y., Moon-ho, R.H., Chernyshenko, O.S., Bedford, O., Uy, M.A., Gomulya, D., Sam, Y.L. and Phan, W.M.J., (2012). Entrepreneurship, professionalism, leadership: A framework and measure for understanding boundaryless careers. Journal of Vocational Behavior, 81(1), pp.73-88. Wang, H., Sui, Y., Luthans, F., Wang, D. and Wu, Y. (2014). Impact of authentic leadership on performance: Role of followers’ positive psychological capital and relational processes. [online] Digitalcommons.unl.edu. Yusuf, M., Muhammed, U. and Kazeem, A. (2014). Management of Leadership Style: An Approach to Organizational Performance and Effectiveness in Nigeria. International Journal of Humanities Social Sciences and Education (IJHSSE), [online] 1(2).